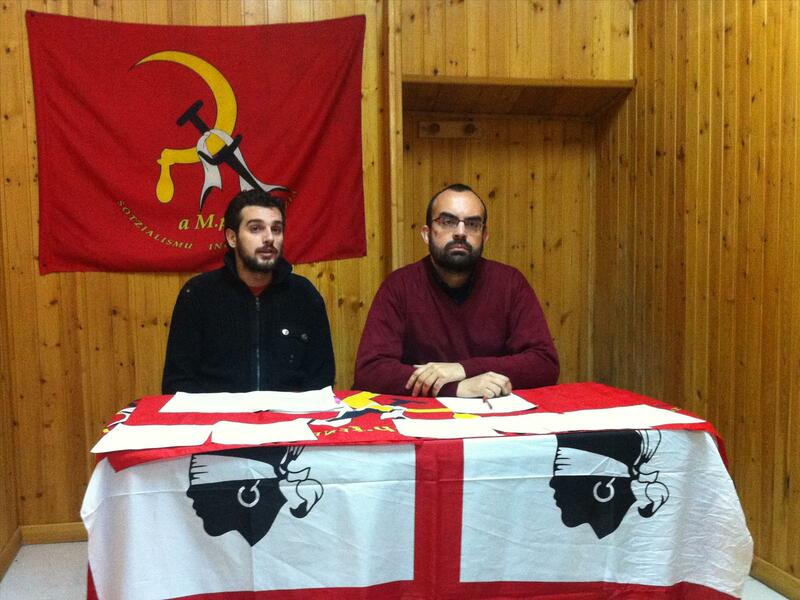 aMPI is a separatist and communist party in Sardinia, founded in 2004. It currently holds no seat in the regional parliament. The party symbol shows on a red field a yellow sickle crossed with a black dagger (of ancient, Nuragic times) linked with a white blindfold; in base the party abbreviation (a M.p.I.) and the slogan (Sotzialismu Indipendentzia) in yellow . The flag is red with the symbol [2,3,4,5].